This blog post was first published at Still Standing Magazine. I thought we were okay. I really thought we were okay. Until that late night when we sat cradled on the floor crying into each other’s arms. The cloud of death was hovering over our lives and we were not okay. It was the first time that we had cried, together. We finally admitted that death was destroying us. Death was destroying our relationship. It was death that was tearing us apart. 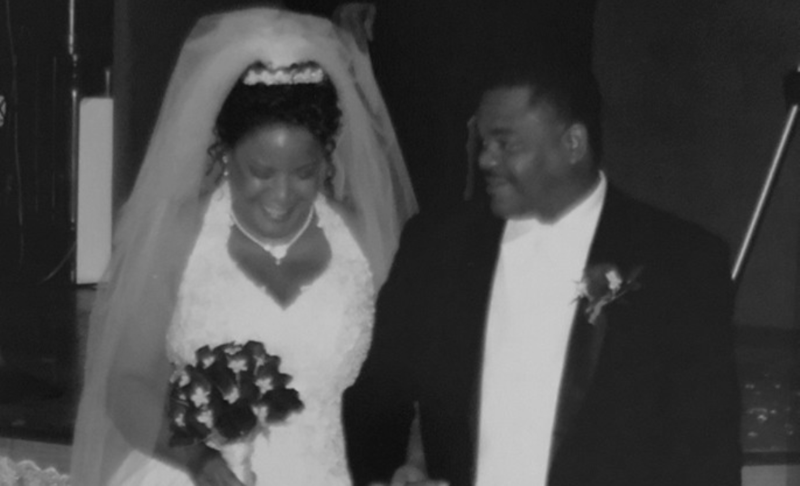 My husband and I were newlyweds when our one-week-old son died. Child loss can be devastating to any relationship. But experiencing the death of our firstborn son during the height of our honeymoon period came with its own kind of trauma. Everything that we believed life to be had changed. The sheer joy of our wedded bliss was shattered. As a new wife, a new mother, I was empty. We were empty. But we were together, so I thought we were okay. I don’t recall her offering much guidance on the loss of our son. She didn’t give assistance on how to make funeral arrangements or who to call for help. It’s as if she came for one purpose, to let us know that we probably wouldn’t make it. As the years passed, her words rang loudly in my ear. Most couples don’t survive. Death had gripped us, but I thought we were okay. Our relationship has been pretty solid over the years. We’ve experienced growing pains, but we’ve always been together. Until that night that we admitted to one another that we were hurting and afraid. We were afraid to be vulnerable and love deeply. Love that deep can be painful. And for us, it was traumatic. Death made loving traumatic. We were trying to wrap our minds around the fact that we had buried our firstborn son. We were facing our individual pain, guilt, and grief of losing a child. But together, the brokenness left us afraid. Afraid to love. By fearing the pain of losing one another, we had become afraid to love. I’ve always imagined putting the pieces of my heart back together so that I could live. But I never considered that I needed those same pieces in order to love. I wanted to be okay. I wanted us to be okay. Despite my pain, I wanted to love. As we sat on the floor that night, cradled in each other’s arms, we cried ourselves to sleep. The next morning we awakened and greeted each other with a smile and tender kiss. The room was filled with such euphoria. The air was peaceful and angelic. Our tears had cleansed us. They healed us. We got up off the floor, together. And we were okay. Death did not do us part.